116 minty packaged G1s and the one thing they have in common letting them down...The Sistema bins imprisoning them. The end of this year I end my life full time studying as well as full time working. Hence the quick resort to storage bins, not even stored at my own residence! Antonio Handsome wrote: Who cost $99 and basically single handedly ruined Chris' break from collectable robots? Mind me asking who has this for $99 ? 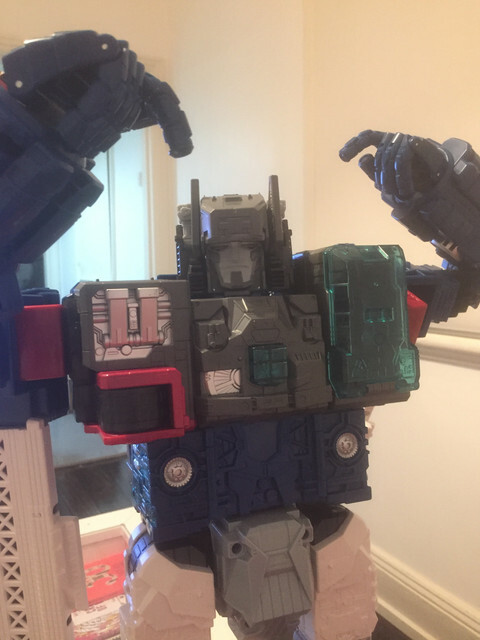 Titans Return Fortress Maximus Thanks to Mighty Ape's daily deal a few weeks ago, he's been at my brothers for ages. This being Godbomber month, got mine as well. I have to say, on his own, Godbomber's not that bad. But when used together with Ginrai, being the key reason to get this set, it results in a big unmitigated mess. Although probably more on Ginrai's part than GB's, but I think I'm going to stick to the deluxes and voyagers from now on. The lazy corner-cutting engineering on the larger units are just plain unacceptable. The hands are wrong. You use Ginrai's hands just extended down with Godbombers arms wrapped around them. On a personal note, I got Titans Return Sixshot yesterday.I haven't opened him yet. 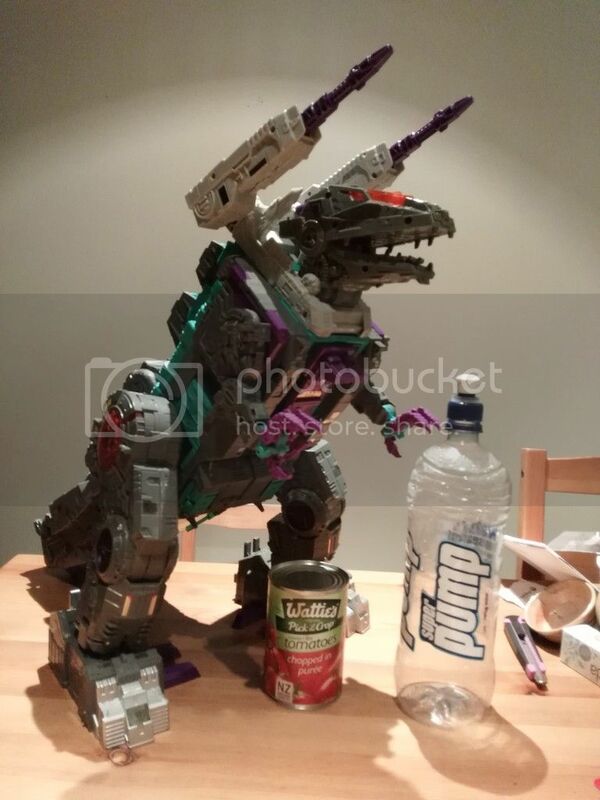 eBay gave me a $20 off AUD an order on a order over $40 and it was the only thing I could think of. I prefer the Takara head but I can't make up my mind. Titan's Return Broadside. 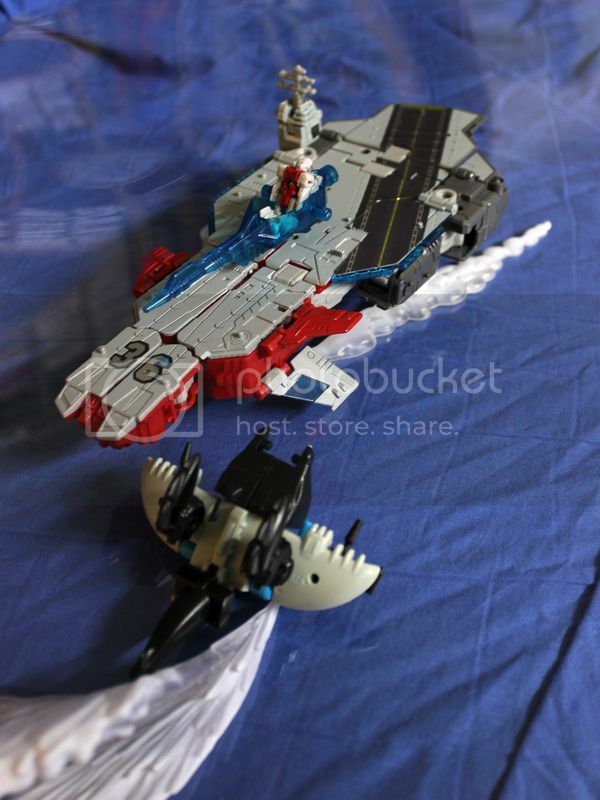 Throw in some Tamashii display wave effects and a Kabaya Piranacon for an epic sea battle on a scrunched sheet. Robot mode and carrier modes are nice with lots of little details. Carrier mode makes me think it should be attached to an even bigger space-faring ship as an arm. The Plane mode... uh. Plane. Plane? Yes, I'm quite sure it's meant to be a plane. NZHC wrote: The hands are wrong. You use Ginrai's hands just extended down with Godbombers arms wrapped around them. 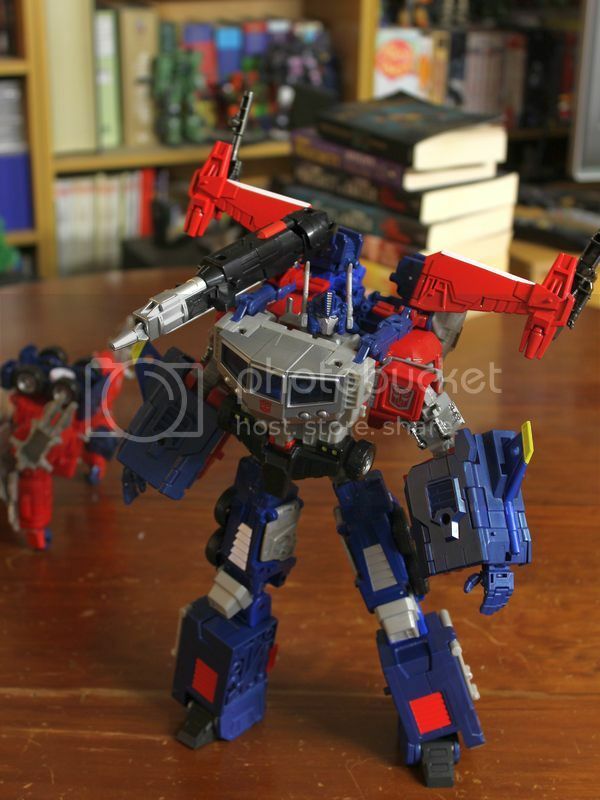 I was going to put up a much more conventional picture until I cottoned onto the fact that Godbomber's leg connectors are CW connectors. Silliness followed. Mind you, my thoughts do apply to the proper God Ginrai combination as well. This beast arrives on Friday morning, courtesy of Mighty Ape. Hey Mr Ash, be VERY careful with his hip ratchets. 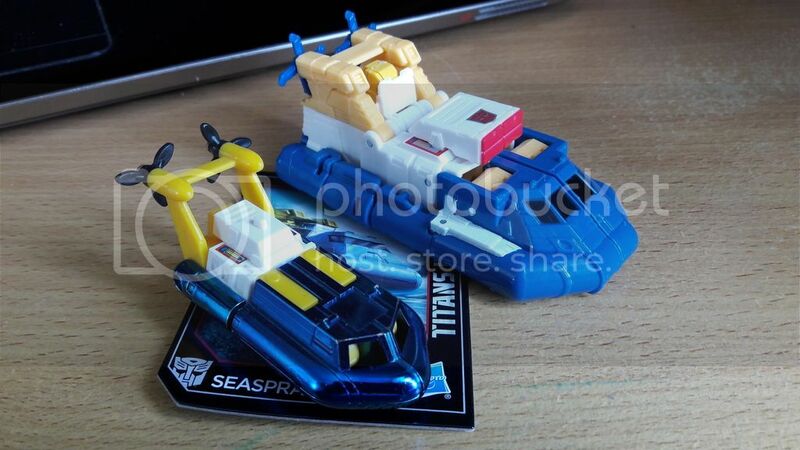 Check twitter and Tformers to see how badly these are produced. People are messing their tryps up majorly.